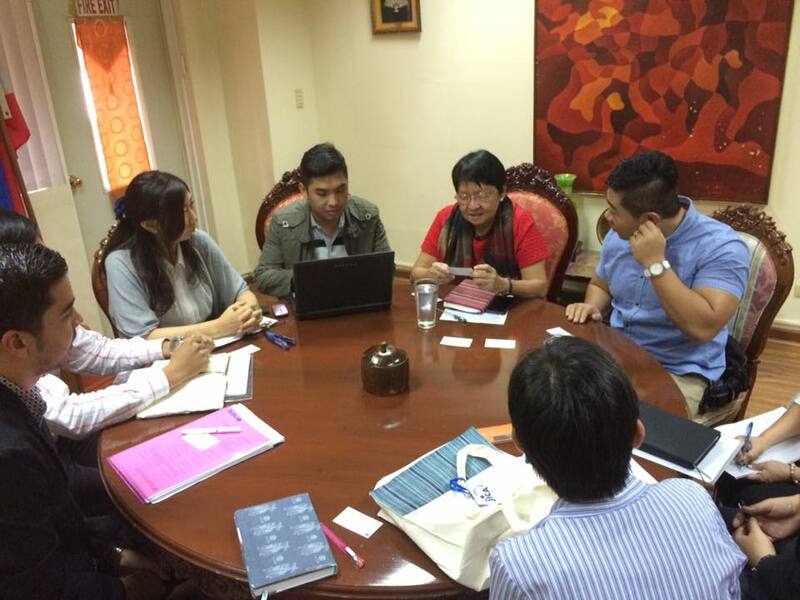 Newly appointed DSWD Secretary Judy Taguiwalo met with representatives of ACTION and Japan International Cooperation Agency (JICA) on August 25, 2016. It was a courtesy call by both agencies to the newly appointed Secretary. The main agenda of both agencies during the get-together held at the DSWD Central Office was ACTION’s project “Ensuring Children’s Potential for Development and Independence through Improved Residential Care Practices”, to be implemented in partnership with DSWD, with funding and technical assistance from JICA. In attendance were ACTION’s Founder and Executive Director, Mr. Hajime Yokota and ACTION Personnel: Ms. Mary Antonnette de Leon (Program Coordinator), Mr. Emmanuel Drewery (Project Coordinator) and Mr. Hubert Lemuel Anonat (Project Coordinator). The representatives from JICA included Mr. Kunihiro Nakasone (Senior Representative) and Ms. Lara Javier (Program Officer). DSWD’s Mr. Robert Ricardo N. Sombillo (Executive Assistant) and Ms. Maristela P. Abenojar (Director III) also joined the Secretary in the meeting. The Secretary was busy with several meetings squeezed into her day. Nonetheless, the Secretary was very welcoming and was happy to meet with the group. The meeting was quick but productive as Secretary Taguiwalo took charge of the meeting. Both ACTION and JICA got the opportunity to share about their respective organizations before discussing the project at hand. The results were positive as Secretary Taguiwalo said that she and her team would look into the project and discuss it with the DSWD Field Offices involved. The Secretary acknowledged the urgent need to support DSWD-run residential care facilities as they receive insufficient budget for this program each year. She is also encouraging support from various groups and agencies in terms of provision of basic needs, improvement of facilities, capacity building of staff and even the show of care, warmth and affection to the children in these residential care facilities. ACTION left the meeting inspired and looking forward to a stronger partnership with DSWD in ensuring children’s potential for development and independence.